I’ve been trying to use natural dyes for a while now, but it’s never quite worked out right. I’d been trying to dye sheer fabric, but I think this was a mistake – cotton took the dye SO much better! Natural dye is so much fun because you can just use left over veggies and spices or leaves from your garden. It’s cheaper than chemical dye AND it’s better for the environment. Yay! I used turmeric which gives a lovely yellow colour, but I would love to try blueberries, beetroot and onions. There’s some great resources about what you can use as dyes on these websites. Step 1: Pich sections of the socks and wrap elastic bands tightly around them. Step 2: To fix your fabric (so that you can wash it without the colour coming out) boil your socks in a pan with 2 table spoons of vinegar for an hour. Step 3: When your socks have cooled down a little, rinse them through. 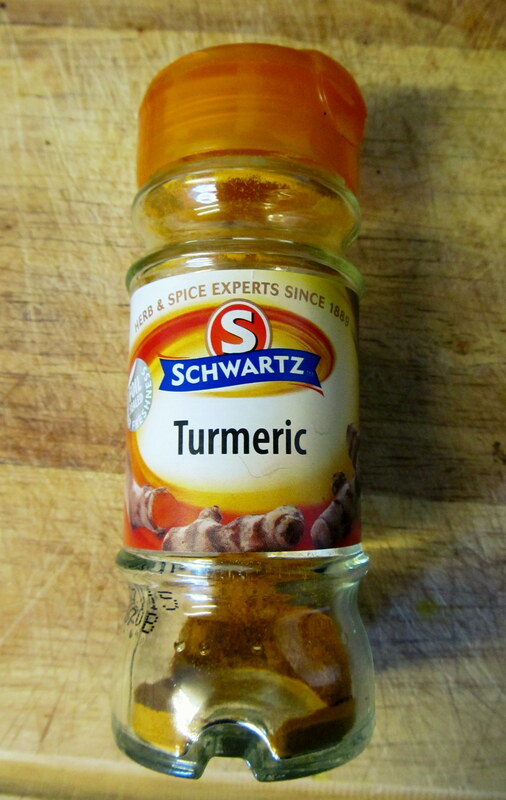 Then boil them in a pan full of water with one tablespoon of tumeric for an hour. Step 4: Put your socks in the washing machine on a “rinse” setting for ten minutes, then undo the rubber bands and let them dry out. Ta da, your socks are ready! Look at Archie hiding behind my socks! I’ve done tie dye becase I love it so much, but I think these would be cute with all over yellow too. 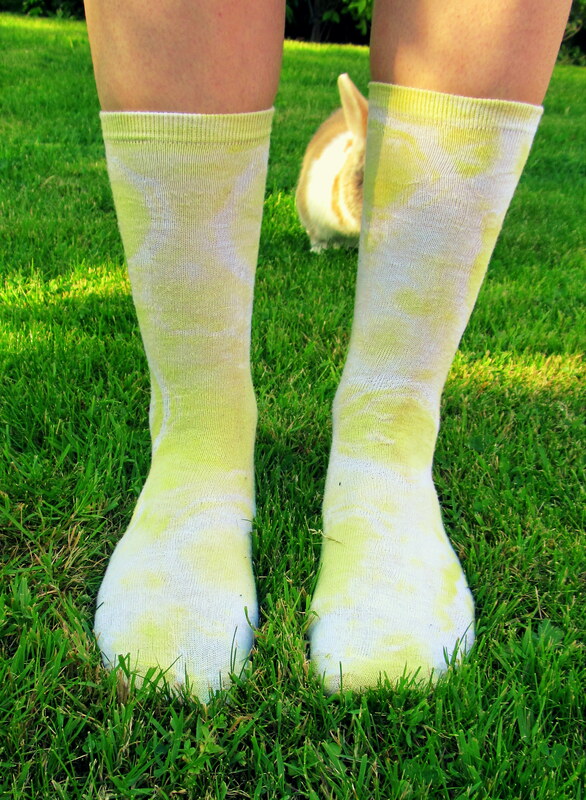 EDIT: These have been tried and tested, and the colour did stay in the wash! Oh wow! Those socks look really cool (I love socks). This also looks so much cheaper than bought dye and the fact you can fix it…excellent! Oh wow, not bad! The result looks cute! Does the natural dye stay even after washing? That rabbit ring in your previous post is so nice! And I’ve never experimented with natural dye its always something I’ve been meaning to do. The socks look really good! omg….. I have NEVER used natural dye! BUT I WILL NOW! 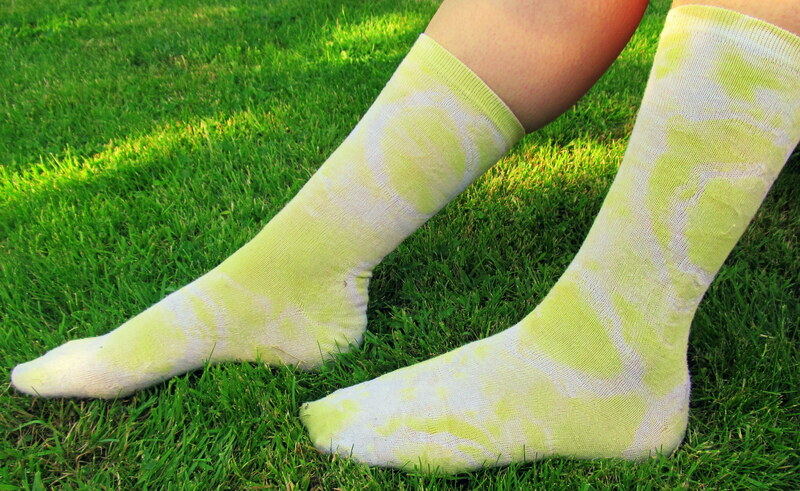 These socks are sooo good, I cant believe that’s how you gt the colour. GOOD JOB! thanks for stopping by my blog! this dye project looks so cool!